Winter in Texas means one thing for us bakers: sweet, sweet citrus. 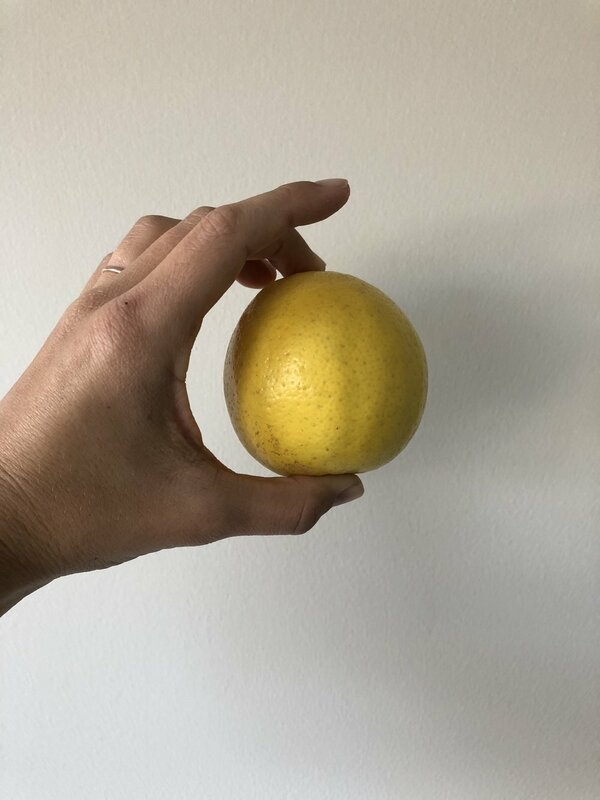 We often highlight the lemon each year, which had us thinking — what about the other wonderful winter fruits of the season? We immediately went to the kitchen. The result? Five new and limited styles we’re so proud of, we had to make a fest out of it! Presenting, Tiny Pies’ first- ever Citrus Fest! Each flavor will rotate and be available exclusively during weekends in February. Please see full schedule below. And if you like what you see, be sure to send us a note to info@tinypies.com. We’d love to know your thoughts! 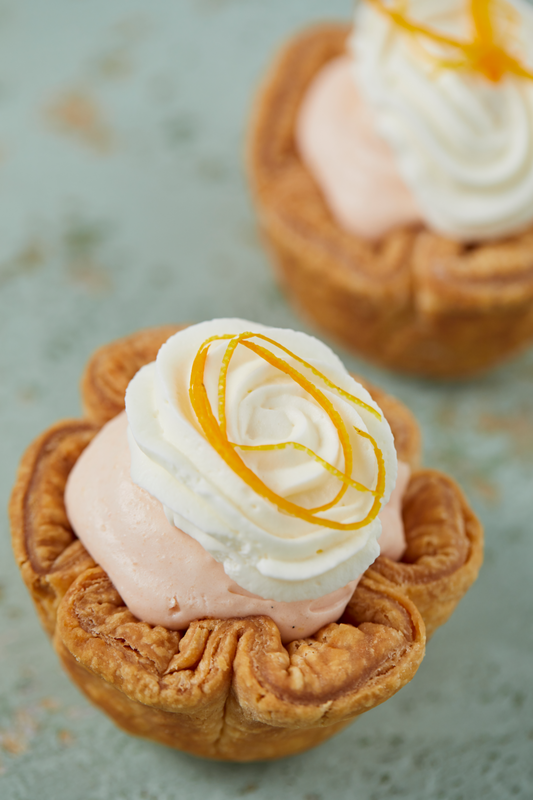 A traditional Tiny Pie made with a creamy orange chiffon topped with whipped cream and fresh orange zest. Available weekend of February 1st. Coconut and lime filling baked into a coconut and graham crumb crust, then garnished with a house-made coconut macaroon and lime zest. Available weekend of February 8th. Think cheesecake, but much lighter. Made with ricotta and dark chocolate, then baked into a handmade shortbread crust with fresh tangerine. Available weekend of February 15th. 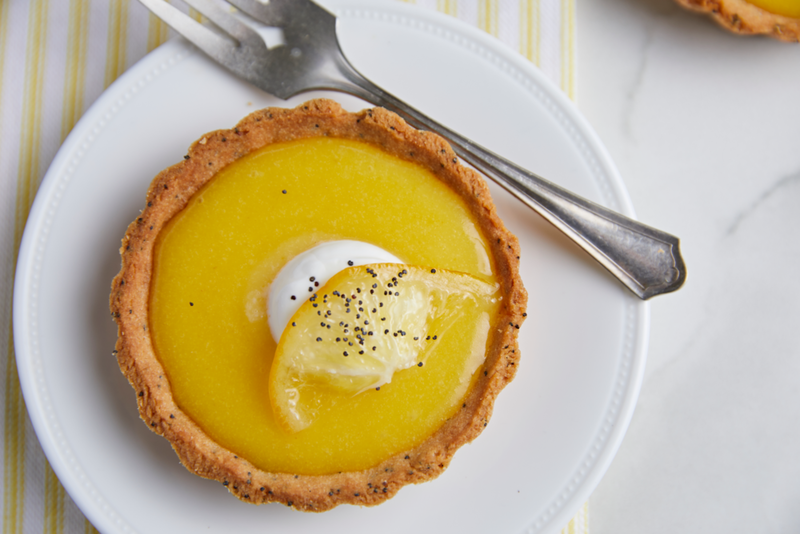 Bright Meyer Lemon curd in a poppyseed- shortbread tart shell topped with crème fraîche and candied lemon. Available weekend of February 22nd. Homemade, carmelized Creme Brûlée tart with Goodflow’s Wildflower Honey and fresh grapefruit. Sweet, tart and a tiny bit of bitter. Available weekend of February 28th. Older PostLove at First Bite!